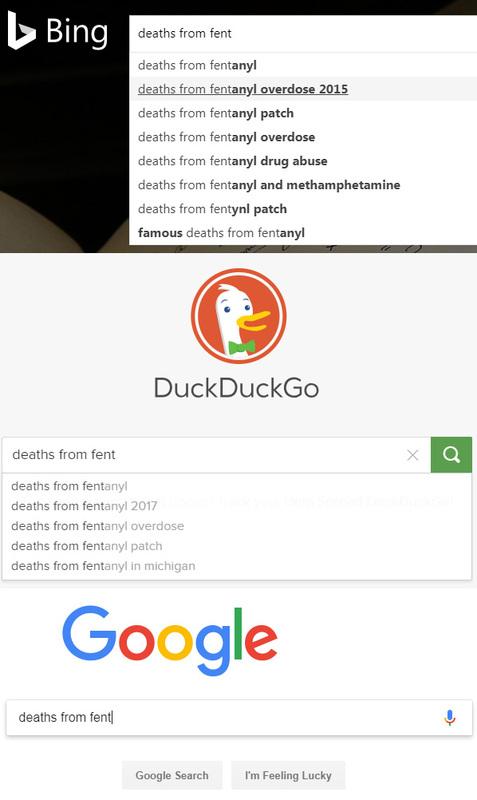 Google's "autocomplete" feature is censoring both "deaths from opioids" and "deaths from fentanyl." 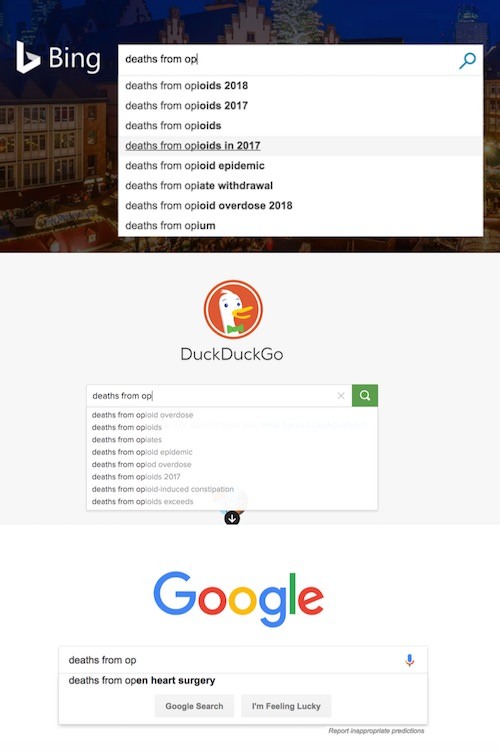 Using "death" instead of "deaths" in both searches made no difference. 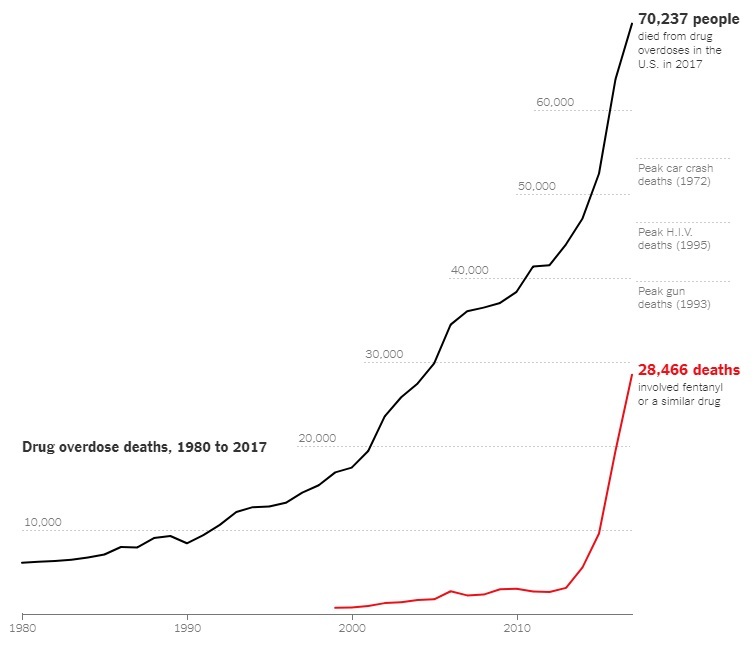 Deaths from fentanyl are currently skyrocketing, so you'd think highlighting that these drugs are going to kill you would be a priority. The censorship was first reported on by Steve Sailer, who described it as a form of "micro-gaslighting." There's no question it could give the impression to searchers that they're all alone in their search even though such search traffic has likely never been higher.